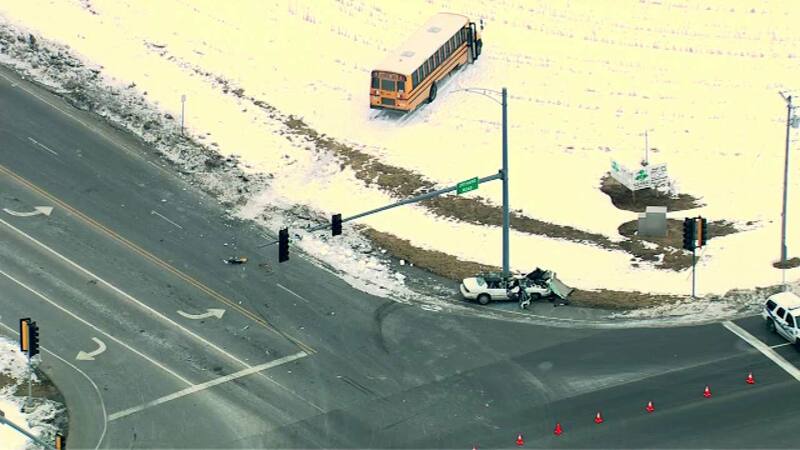 MONTGOMERY, Ill. (WLS) -- Police are investigating a crash involving a school bus in far west suburban Montgomery that injured 10 Boulder Hill Elementary students, District 308 officials said. The crash, which also involved a car, occurred around 8:15 a.m. Friday at the corner of Mayfield Drive and Orchard Road, school officials said. The bus was carrying 31 students at the time of the accident. All parents of the students involved were notified immediately after the accident, officials said. The 10 students transported to Rush Copley Medical Center were treated and released at 11:30 a.m.
Police have not released any details regarding the accident or the other vehicle.